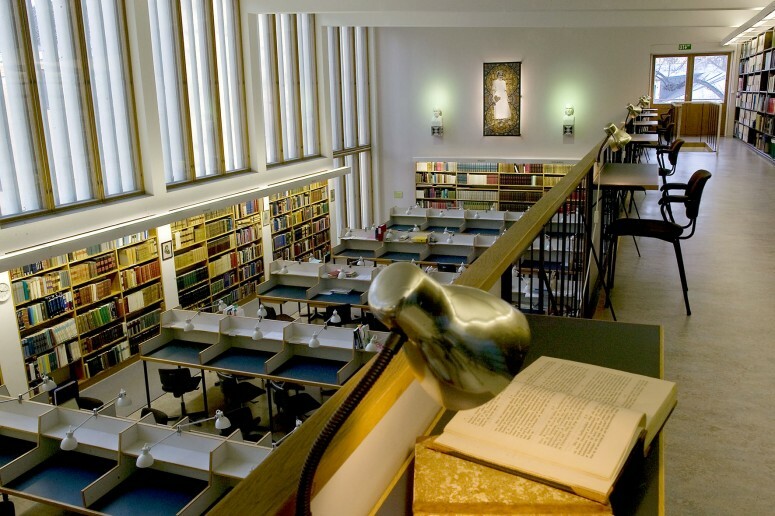 During the last ten years Andersson has focused on artworks organically integrated in the architecture. For this work in the library of the Åbo Akademi University in Turku Andersson used the whole end wall of the library building by Woldemar Baeckman. 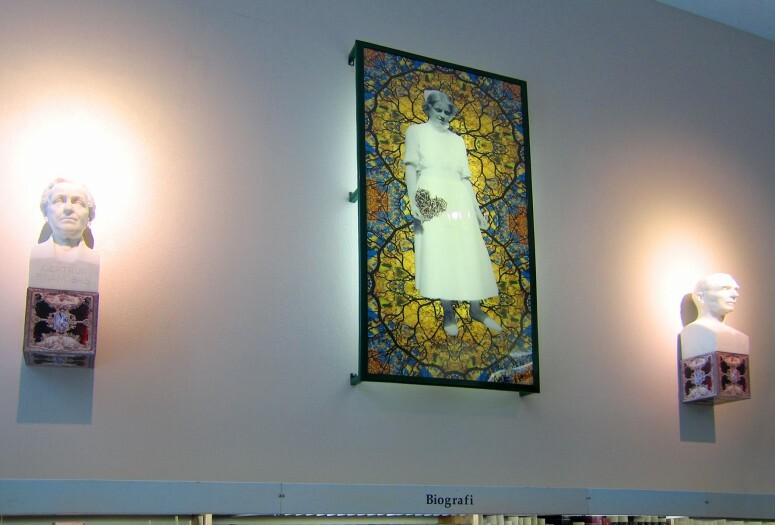 The work honors Gösta (1869-1955), Gertrud (1870-1959) and Else (1901-1997) Branders for their great contribution to the building and funding of the book acquisitions of the library. Andersson removed the dark 19th century paintings from the wall and placed sculptures of Gösta and Gertrud Branders made by a famous Finnish sculptor, Felix Nylund, in 1939, on specially designed podiums on the wall. 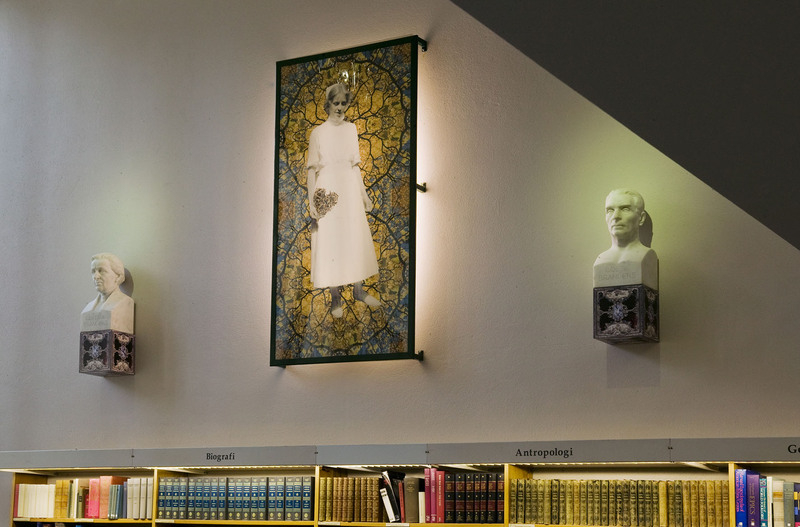 These sculptures were earlier hidden in a dark corner of the library and have gained a new status as parts of Andersson’s permanent installation. The surfaces on the podiums are picture manipulations, where the cover of a photography album, which has belonged to the Branders family, is combined with a candlelight in a snow landscape. By using the sculptures of Felix Nylund, Andersson connects to his production from the 1980ties, when he kept a dialogue with the central artists of contemporary art and art history. 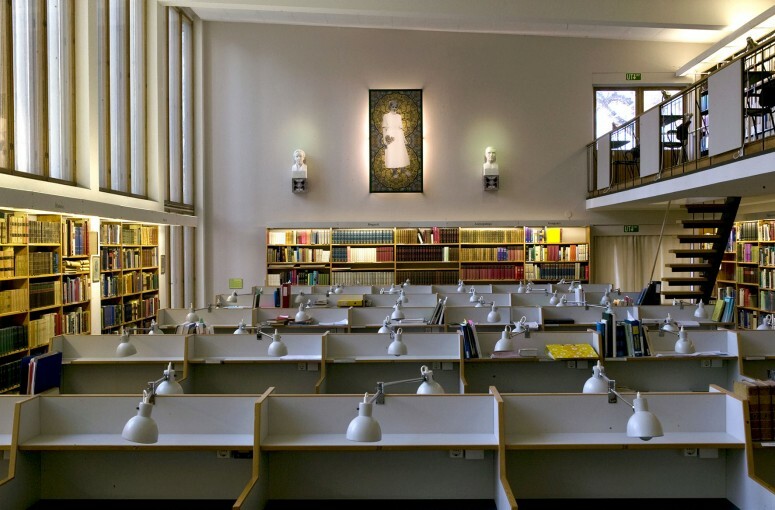 Since the beginning of the 1990ties Andersson has been interested in the ways the digital medias can influence the art. 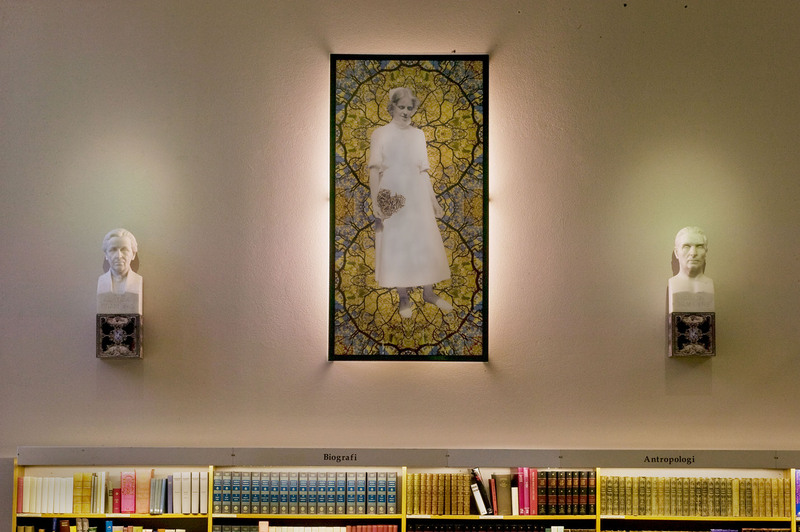 The portrait of Gösta and Gertrud’s daughter Else is made using all the aid the digital imaging programs can give. The base is a photograph of Else as a nurse from 1927. Andersson has placed a heart made of tree sticks in her hand. The background are circles made of pictures from Finnish autumn nature, meant to remind of medieval Rose Windows. 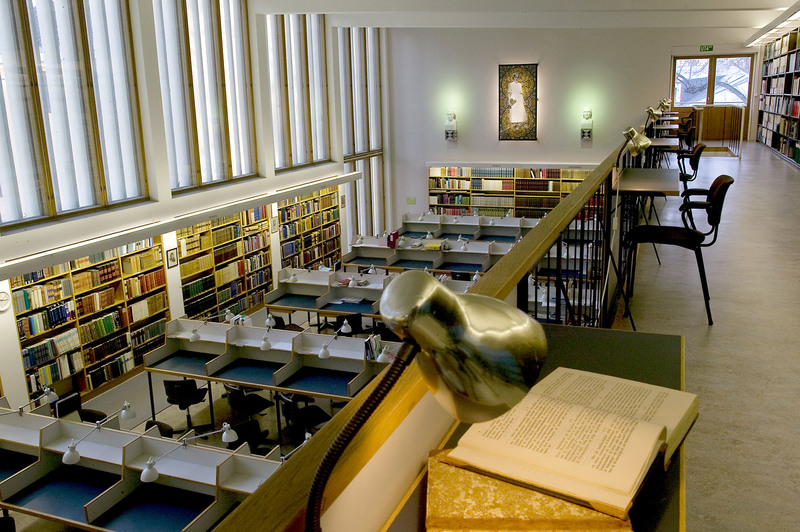 The theme is inspired by the library’s closeness to the Turku Cathedral. 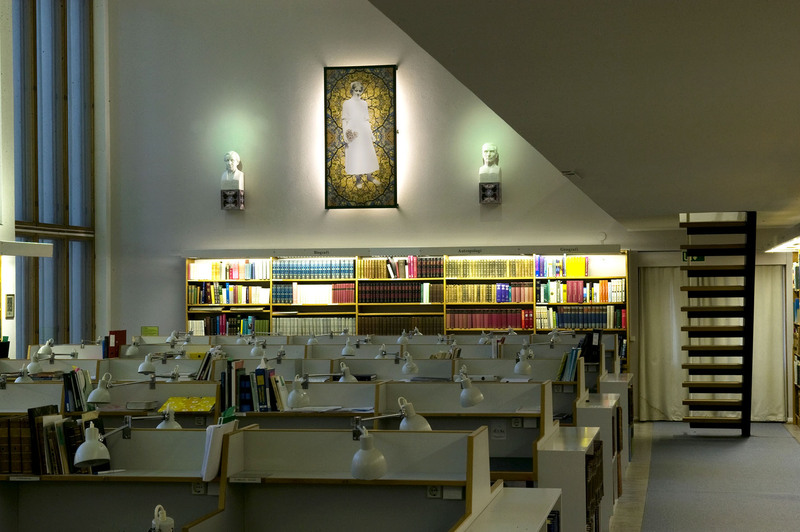 By using strong spotlights on the sculptures and light behind the portrait of Else, Andersson wanted to create a light and optimistic atmosphere for the students who use the library.